Authoritative yet easy to read, Sheep and Goat Medicine, 2nd Edition covers all the latest advances in sheep and goat medicine, including medical treatment, surgery, theriogenology, and nutrition. Full-color photographs and clear instructions provide the answers you need, guiding you through common procedures and techniques such as restraint for examination, administration of drugs, blood collection, and grooming; these descriptions are often accompanied by explanatory diagrams and charts. With diseases, surgeries, and treatments organized by body system, information is always easy to find. New to this edition are chapters on parasite control, nutritional requirements, and performing a necropsy. Developed by Dr. D.G. 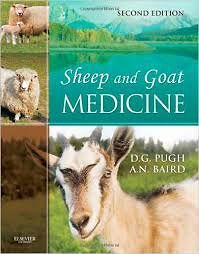 Pugh, a world-renowned expert on the medical care of sheep and goats, this reference is unmatched for its comprehensive coverage of herd health, physical examination, anesthesia, and multisystem diseases.